As we all know concussions are on the forefront of all youth and professional athletics currently...and there is much research that is still being done and presented at a staggering rate. 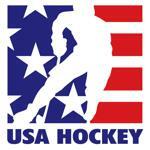 That said, we have recently updated our Grizzly Hockey Concussion Protocols, this information is to the right of this page in both DOC & PDF formats. Please take the few minutes to read this information. Although we are staying very consistent with our previous protocol(s), we have spelled it out a little differently so hopefully there is less confusion to you, the players & families. We have also supplied a few items to help you get more educated on concussions; the video below is more for our players to watch, yet a good resource for everyone. 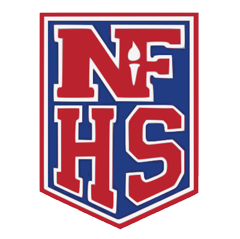 We have also supplied the NFHS Concussion training link, this is the same mandatory concussion training all our Grizzly Hockey coaches are required to complete each season, along with a few other concussion related resources for you. Please know, that concussion diagnosis is not easy and somewhat subjective, and our entire team officials staff (Coaches and Managers) are trained to sit out a player whenever there is any concern that a player may be concussed. Another piece of this process is the player themselves, as they need to be honest about 'how they feel', with both staff and yourself. Finally, you, the parents, are a big part of this process...not only just to help with original diagnosis, but monitoring during and through the return to play process. Again, please read the updated documents on this page, and if you have any questions you can speak with your coach or director at any time.